Kaiser Permanente is preparing to instill its integrated model for high-quality care at sustainable costs in the minds of future physicians. The Oakland, Calif.-based system plans to open an independent medical school in Southern California, with its first class expected to enroll in fall 2019. Kaiser is taking the rare step of creating its own medical school instead of partnering with a university like recent deals made by North Shore-LIJ in New York and Beaumont Health in suburban Detroit. Dr. John Prescott, chief academic officer for the Association of American Medical Colleges, said Kaiser's approach is one of several organizational models emerging among medical schools. “It's a part of the changing face of medicine and I think that we certainly welcome new ideas and welcome Kaiser in this new world,” Prescott said, noting that the establishment of a school was a logical step forward for Kaiser. A legal entity for the Kaiser Permanente School of Medicine is expected to be established in the coming months, and Kaiser will begin planning for the accreditation process soon thereafter. Leaders haven't finalized a location in Southern California, but will begin looking for a dean in the coming year. Kaiser leaders have spent the past five years crafting a plan for the school, which expects to welcome around 44 students in its inaugural class. Tyson said Kaiser still has to work through the details of how the school will be funded, but the system will consider using community benefit funding to support some of its existing medical education programs. Kaiser already operates a School of Allied Health Sciences in Richmond, Calif.
Over 600 physicians are currently completing their residency programs at Kaiser facilities, and affiliated programs send several thousand more to the system for a portion of their training. Kaiser has 38 hospitals and a large network of clinics that serve over 10 million members in eight states and the District of Columbia, and recently announced it would acquire the Seattle-based Group Health Cooperative. “We have a rich history in teaching physicians. This is the missing piece of the arch,” said Dr. Edward Ellison, executive medical director and chairman of the board for Southern California Permanente Medical Group. Ellison is a national leader for Kaiser and an executive sponsor for the school. Kaiser also announced that Dr. Christine Cassel would leave her role as CEO of the National Quality Forum to join a team of leaders tasked with designing the school's teaching approach. Although most medical schools teach two years of basic sciences and two years of clinical skills, Kaiser students will be able to apply lessons to patient care from day one, Ellison said. The system is known for its high patient-satisfaction scores. Clinically relevant training reflects the focus of several innovative undergraduate and post-graduate programs that provide coursework in quality improvement and hands-on clinical instruction early in the curricula. The University of Missouri School of Medicine, the Hofstra North Shore–LIJ School of Medicine and the Herbert Wertheim College of Medicine at Florida International University have all launched programs that involve students in patient care within their first two years, according to the Commonwealth Fund. Kaiser understands that it is investing in the undergraduate training of its own future physicians, said John Lutz, a managing director with consulting firm Huron Healthcare. By training physicians in the system's care model well before residency, the school could better prepare doctors for work for the system, which could boost Kaiser's population health metrics, improve efficiency and drive down costs if graduates are hired down the road. “It is an investment which should result in a positive return if it retains its best program graduates and incorporates their post-graduate residency training into their current and future delivery models,” Lutz said. Primary care will be a focus in the school of medicine, as it is in the health system, Kaiser spokesman Marc Brown said in a statement. Students will be allowed to choose their specialty, and Kaiser expects many to choose to focus on primary care and go on to work with Kaiser. 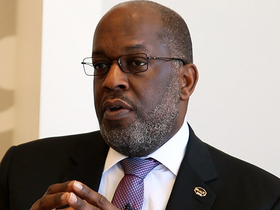 "By training in the Kaiser Permanente care delivery system and communities, students will experience primary care at its best—demonstrating a viable lifestyle and the respect primary-care physicians deserve but do not always get in the medical community," Brown said. Kaiser says existing physician education hasn't evolved to support the multisite, high-tech care-delivery system that has begun to emerge. The school will embrace advanced models of decisionmaking, teamwork, technology, evidence-based medicine and in communication strategies tailored to specific populations. Educators will focus on building cultural competency among Kaiser's students to prepare them for an increasingly diverse patient base, Tyson said. Kaiser intends to extend that emphasis on diversity to its student population as well. Minority enrollment in U.S. medical schools is improving, but it's still not quite yet where it should be, leaders say. AAMC CEO Dr. Darrel Kirch told Modern Healthcare that he's encouraged by a 9.2% increase in the number of black men enrolled in medical school in the past year, but the number is still too low. Three new medical schools graduated their first classes this past spring and one opened this fall. Three more are opening in 2016, including the University of Texas Dell Medical School in Austin. The AAMC has expressed concern that new schools have opened and enrollment has grown as residency slots remain tight. When asked whether Kaiser is concerned it could be adding to that problem, Ellison said the system continues to expand its already large residency program. He and Tyson both contend that Kaiser's medical school won't just be added to a laundry list of schools, but rather offer a program that better prepares students for healthcare transformation as compared to other institutions in the crowded field. Medical schools are increasingly engaging students in clinical work earlier in their programs. Many white coat ceremonies are taking place earlier as more students take care of patients within their first two years, according to Prescott of the AAMC. This strategy also involves recruiting students with characteristics believed to make them not just good scientists but also good caregivers.